In the 1978 NBA Draft, the Celtics selected Indiana State junior Larry Bird with the sixth overall pick. However, the versatile forward decided to return to college for his senior season. At the time, the rule existed where a team owned the rights to a player in Bird’s situation until the minute before the next year’s draft began. That was the case with Bird and the Celtics, who signed the future All-Star to a five-year contract right in time. Bird would go on to have a 13-year career in Boston, 12 of which saw him get selected to the All-Star Game. At a time when the league and the organization needed a jump-start, Bird came along and lifted both to new heights. 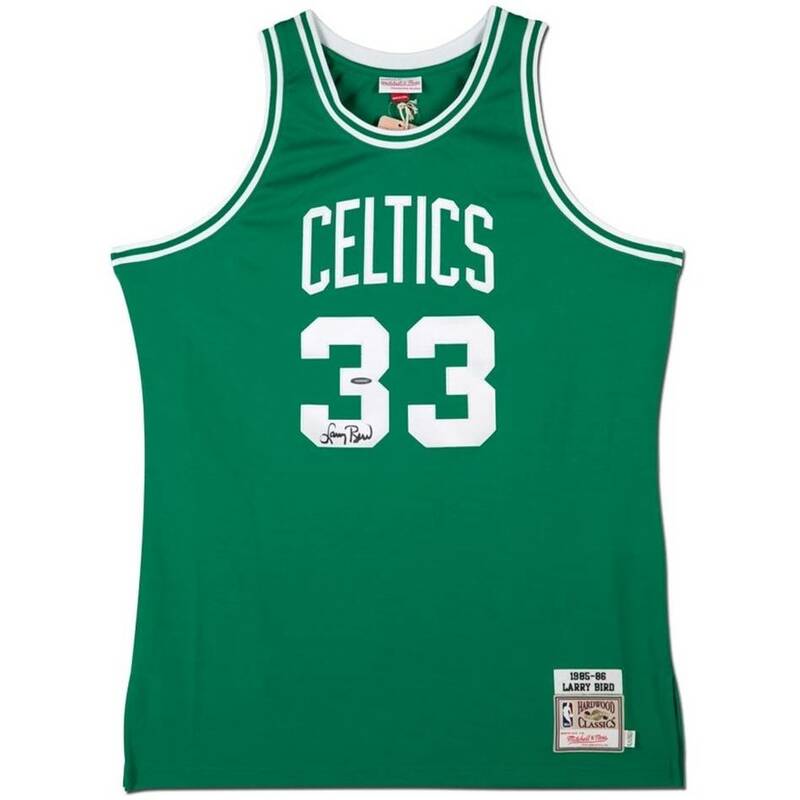 Bird has autographed this Boston Celtics green authentic Mitchell & Ness jersey in black paint pen.